Eating five servings of fruits and vegetables per day was associated with better mental wellbeing in a recent study at the University of Warwick in the UK. In the study, researchers worked with data from over 14 000 participants in the Health Survey for England. Thirty three and a half percent of those with high mental wellbeing reported eating five servings a day. Of this group, only 6.8 percent ate less than one portion. Of the rest of participants with high mental wellbeing, 31.4 percent ate three to four servings of fruits and vegetables per day and 28.4 ate one to two. Of the participants, 44 percent were male and 56 percent were female, implying that the association applies equally to both genders. All involved were over 16 years of age and their mental wellbeing was assessed using the Warwick-Edinburgh Mental Wellbeing Scale (WEMWBS). About 15 percent of participants were categorized as having “high” mental wellbeing and another 15 percent were in the “low” category. The remaining 16 to 84 percent fell somewhere in the middle, according to the study, which was published in the British Medical Journal. 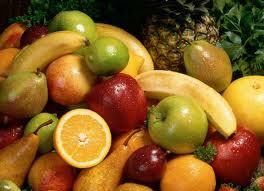 In 2012, the same research team found that wellbeing peaked at seven portions per day of fruits and vegetables. This study was published in the journal Social Indicators Research.